Queensland University of Technology has launched a research project that will track Australian beef from paddock to plate in an effort to fight food fraud. The ‘BeefLedger’ project will run out of Queensland University of Technology’s (QUT) $200 million Food Agility Cooperative Research Centre. A new digital cryptocurrency called BeefLedger Token will be used to help industry contribute to and participate in the project. 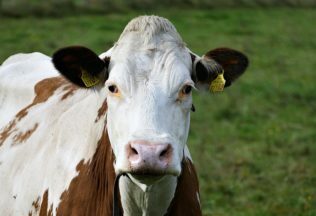 “The BeefLedger Token, or BLT, is being developed as part of the design and implementation of the world’s first application of distributed ledger or blockchain technology to the entire beef supply chain,” said researcher, Professor Marcus Forth. The BLT is expected to provide users with access to sales history, consumer feedback, disease prevention, streaming payments and increased food security. Chief Executive Officer of BeefLedger Limited, Warwick Powell, said beef is an increasingly high-risk industry in terms of brand, making it critical to be able to prove quality Australian beef. “Our research in China demonstrates consumers will pay premiums for high levels of security and the value that food provenance can add to the consumer experience,” Powell said.